​Santi Solari praised his side for a ‘brilliant’ performance after Real Madrid claimed a deserved 2-0 win at home to Sevilla in a huge La Liga clash on Saturday. Madrid dominated the game at the Bernabeu, enjoying almost 70% possession and recording 23 shots on goal, though Los Blancos left it late in the match to secure a hard-fought three points. The European champions went ahead through a ​Casemiro wonder goal with just over ten minutes remaining before ​Luka Modric sealed the win in stoppage time. 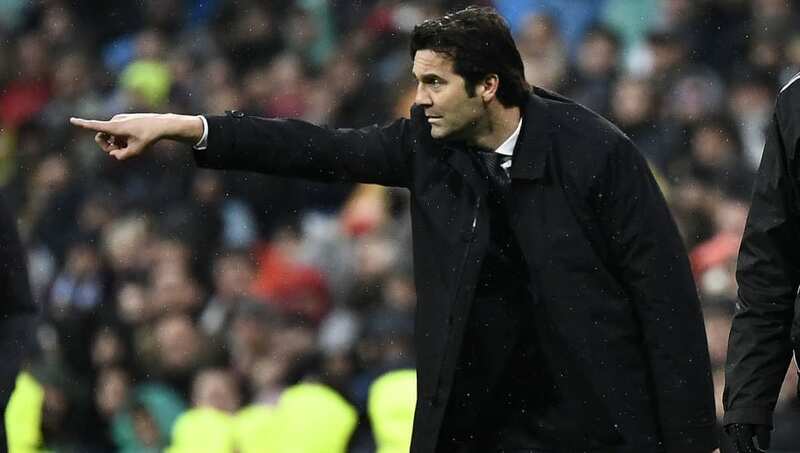 ​Madrid boss Solari said of his side after the game, via the club’s ​official website: “They performed brilliantly. “It’s difficult to pick out any one name. It paid off, every player fought hard, we played some good football and pressured high, I would like to congratulate the players on their efforts today. “It’s always more than just the three points when you’re up against a direct rival, because one team gets the points and the other loses them. “The celebration was worthy of Casemiro’s wonderful goal, and it was tense because I couldn’t see if it was going in or not. “It was a fantastic effort, not only because of the significance of the game, but because we needed the breakthrough. “We try to keep going when things go well and next time out we want to play as well as we did today. Last week was good too. I am thankful for [Pablo] Machin’s words, they mean a lot because we were up against a great team who are having a fine campaign. "We are fighting in three competitions till the last as always. For Real Madrid nothing is impossible. I always enjoy football and the competition, it is our passion and we love it despite the tough times. "We are passionate about competing and obviously it is better to win, no one can deny that." The victory lifted Madrid three points clear of Sevilla in the La Liga table in third, whilst also keeping Los Blancos in touch with those above them, albeit with a seven point gap to cut to leaders ​Barcelona. Solari’s side host Girona in the first leg of a Copa del Rey quarter final clash on Thursday, before returning to La Liga action three days later with a trip to face Espanyol away next Sunday.